Dravida Munnetra Kazhagam (DMK) chief M Karunanidhi alias Kalaignar dons the hat of an outstanding scriptwriter of Tamil cinema besides being a formidable politician. Yet he would have found it difficult to anticipate the turn of events that took place in Chennai on Monday. residence in Delhi for some days." More than the content of the dialogue, its hidden message carried enormous significance for national politics. Dravidian movement offers an antithesis. Its ideological founder EV Ramasamy ‘Periyar’ stood against everything that Hindutva stands for. Even in the late 60s and 70s, the Dravidian movement militated against a variant of nationalism believed to have been encouraged by Hindi-speaking leaders of north India. If one goes by conventional wisdom, Modi as prime minister had no reason to go out of the way to see Kalaignar and indulge him in an obsequious manner to show respect to the elderly leader. But those who know Modi can testify that the prime minister defies conventional wisdom not only to prove a point but also for a larger political and social message. 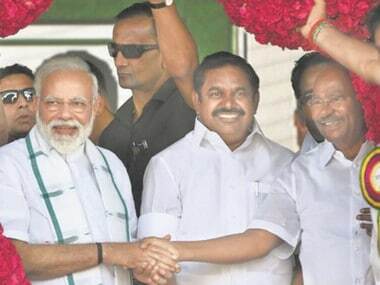 And there is no doubt that in his meeting with Karunanidhi, Modi has effectively conveyed his position of being not partisan to either AIADMK or DMK, the two powerful parties that emerged from the Dravidian movement. At the same time, he strongly conveyed that the BJP is determined to fill the void of a national party in the state politics. 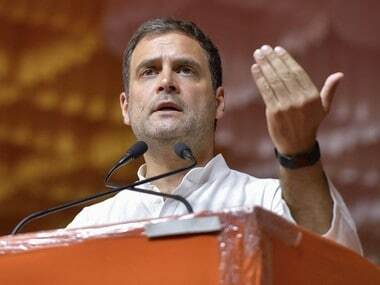 Till the 90s, the Congress happened to be the only national party in Tamil Nadu by default though it had ceded considerable ground much earlier. Unlike other north Indian leaders, Modi has a unique position in Tamil Nadu. He is not a typical representative of north Indian Brahminism that the BJP is equated with in Tamil Nadu. He comes from the backward class that has been the backbone of the Dravidian movement. Similarly, his adherence to Hindu ritualism strikes the chord with those people for whom religion is deeply steeped in ritualism even though their politics is anti-religion. In the recent decades, Atal Bihari Vajpayee and VP Singh were exceptions in that they were adored in the state, but they were rarely seen as an alternative to Dravidian politics in the state. By all indications, Modi has been making a different case for himself and his party. Of late the BJP has been strategically roping in youth and ingratiating itself with the issues that connote Tamil pride. The RSS-BJP combine has been persistently organising functions to celebrate the richness of Tamil culture and language in order to allay the fear of dominance of Hindi. Though these efforts are still in an incipient stage, Modi *does not see averse to have* an alignment with a regional ally to take the state out of a “narrow definition of regionalism”. The BJP’s emergence as a preeminent political force has already eclipsed regional parties in larger parts of India, including Uttar Pradesh and Assam. 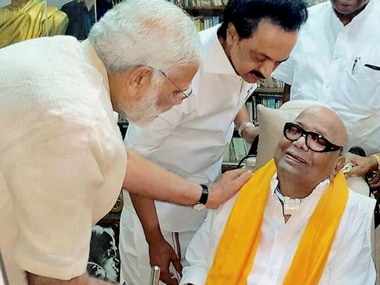 Given the organisational muscle that the party has built over the years in the south, Modi’s meeting with Kalaignar is only a sequel to a series of astute moves that he has been making to consolidate the BJP’s position as the principal pole of Indian politics. Monday’s event is quite significant as it conveyed unambiguously that Modi is not what the conventional media often projects him to be. He is warm and amiable even to his die-hard ideological opponents. But Modi has been consistent in his approach to adversaries. 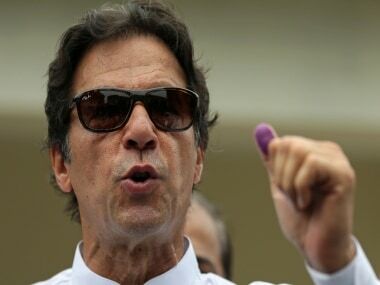 Remember how he drove straight to the residence of Keshubhai Patel, his predecessor who had opposed him bitterly, after his victory in 2012 assembly elections? Similarly, at the personal level, he was quite friendly with Shankarsinh Vaghela even at the peak of their rivalry. More recently he developed cosy and friendly relations with Nitish Kumar even when the latter was still in the adversary camp in Bihar. He has been particularly courteous to elderly leaders ranging from Acharya JB Kripalani and Madhavsinh Solanki to former prime minister Chandra Shekhar, Sharad Pawar and Mulayam Singh Yadav. 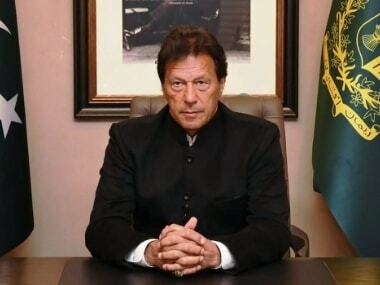 That political dexterity to negotiate through cobwebs of ideological dogmas without losing focus is an essential lesson for politicians of future generations.